What is the date of the Model T Ford in the photograph? Note the Ford automobile parked on the corner. In pencil on the reverse, "Res[idence] of Alo. J. Butz, 500 Central. 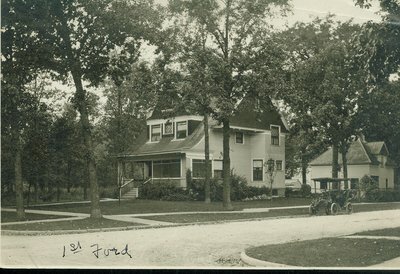 On front, in ink, "1st Ford"